David: I was looking at the canal map of London today. The sense of losing the canal is quite painful and I was looking at the map as if going through a book of memory and working out just exactly what I would be missing. 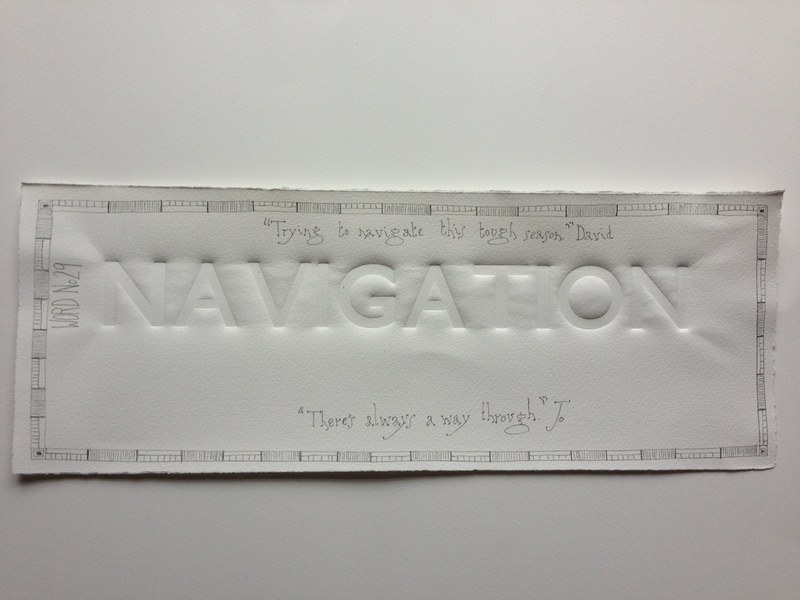 One word leap out at me in the bold capitals of the map – NAVIGATION. It made me remember all the journeys along the Lea Navigation Mrs. S. and I have taken. The lines on the map coming to life and singing of sunny days and streams. Of passing the weirs and locks that make the river navigable. Landscape can comfort, can inspire. As the map drew me back into the Navigation, it began to inspire me to think of this situation as trying to navigate this tough season. To see it as a journey where the challenge of rising with the river is going to be hard, but there will be locks to help us up and a lot of interest to see along the way. Jo: Your thoughts immediately took me back to a wonderful project I did with two other artists a couple of years ago. We went on a narrow boat along the Grand Union and then along the River Nene. This latter section involved what seemed to be quite terrifying, huge, industrial locks. We had one day when we HAD to travel and the weather was atrocious. It was like an extreme team building exercise for artists. We started off in good spirits, but these quickly flagged, the lock work was hard and we were wet and cold. There was one thing that got us through. Captain Jim. Jim had been boating all his life, and had people skills in abundance. It was him that navigated these 3 boating novices through really tough conditions, continuously directing and praising us. And what was the best thing about that project? The sense of achievement I still feel re that day. There’s always a way through. This entry was posted in 50/50 and tagged canal, Lea, navigation, River Nene, words. Bookmark the permalink.